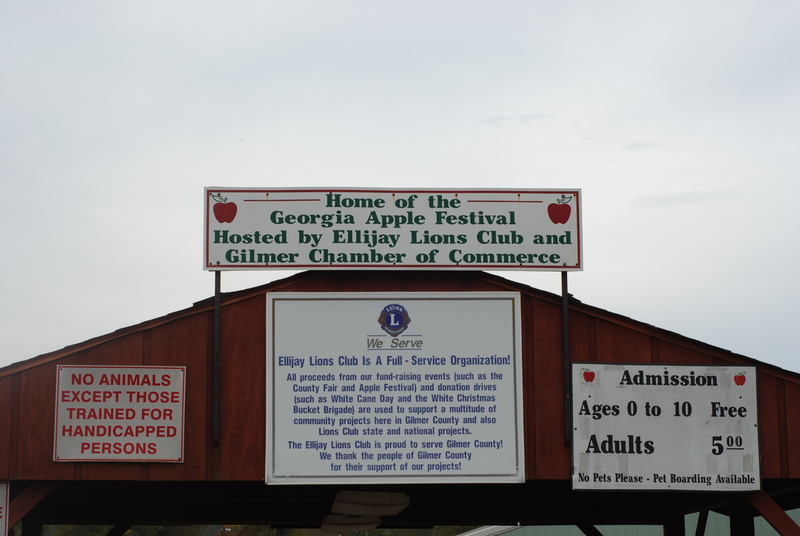 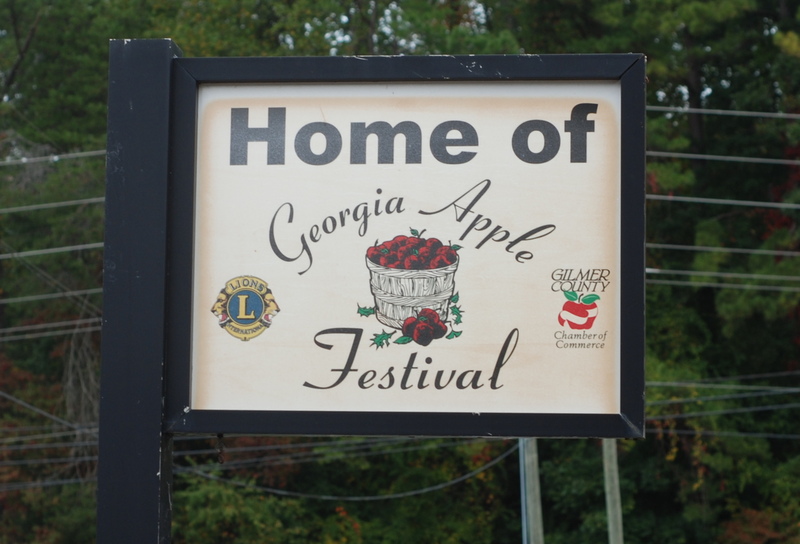 Ellijay, Ga is known for it apples and we were very excited to discover that this was the weekend for the Georgia State Apple Festival. 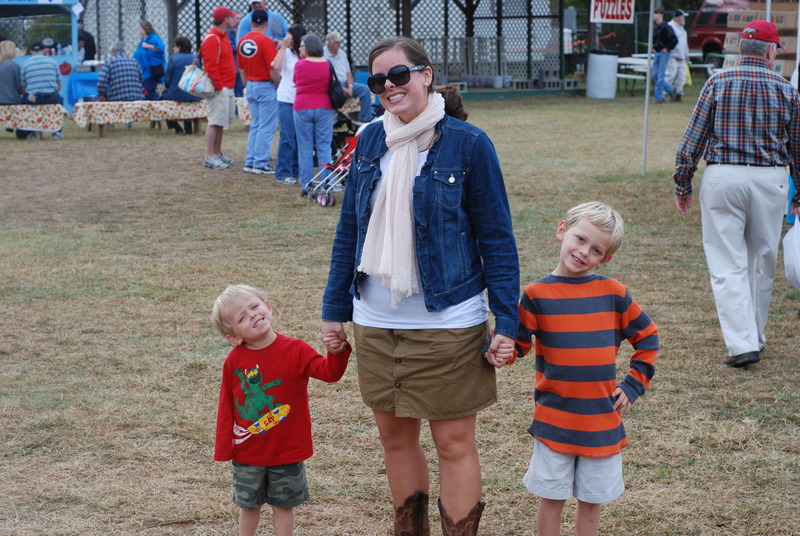 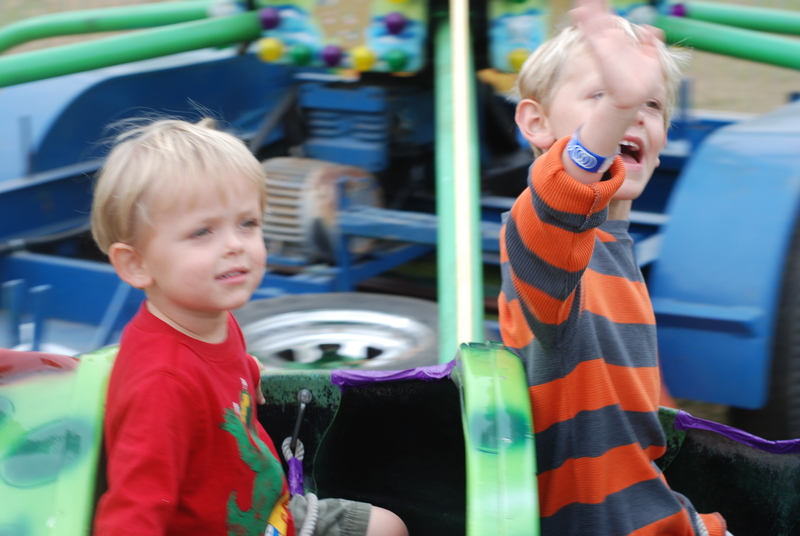 The boys love the Strawberry Festival, so we just knew that they would love this too. 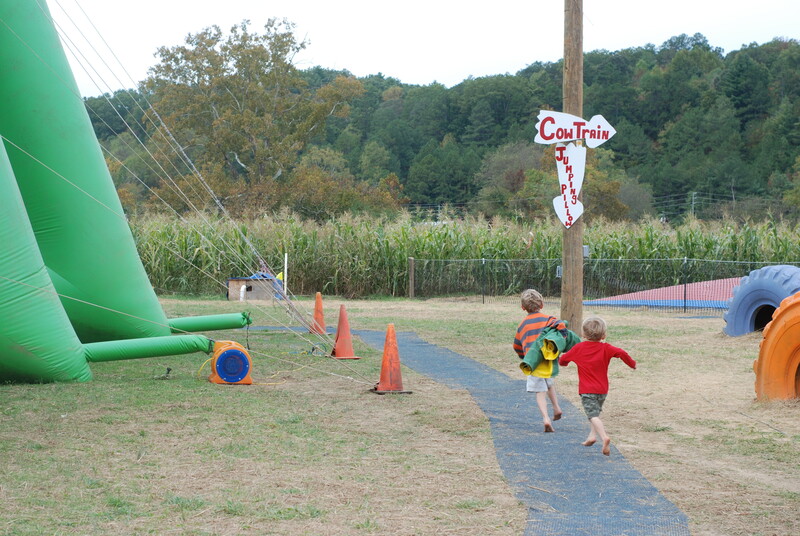 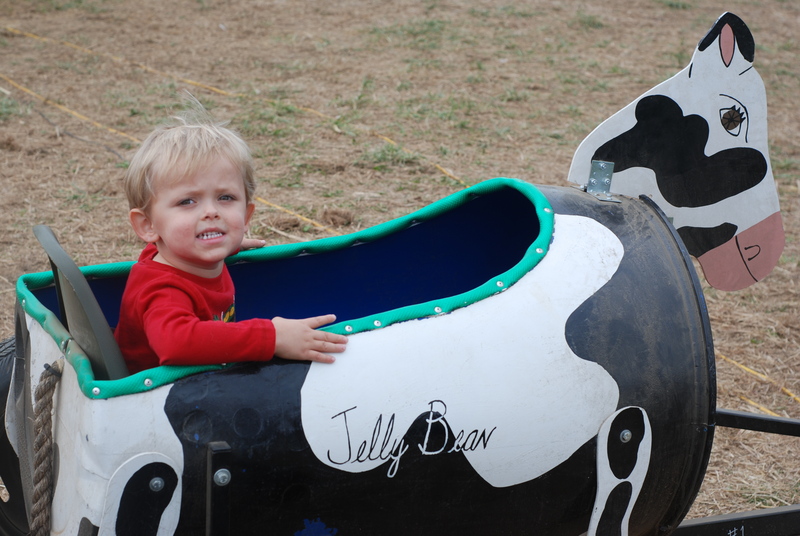 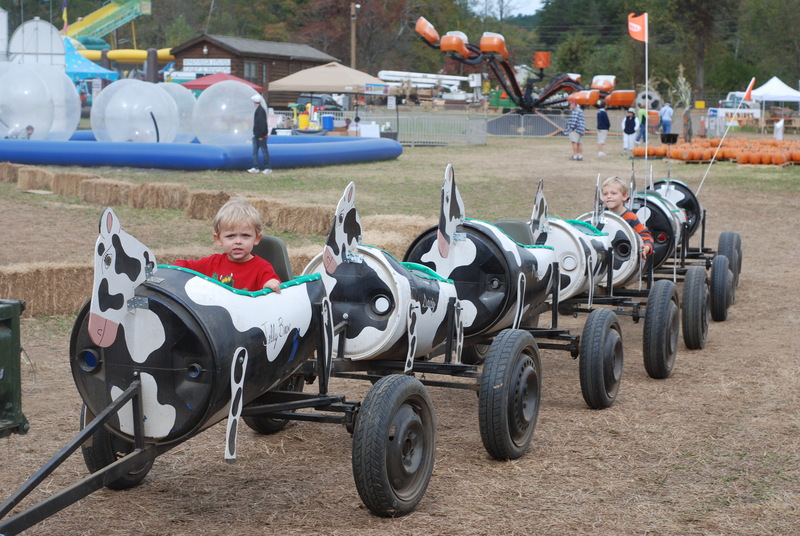 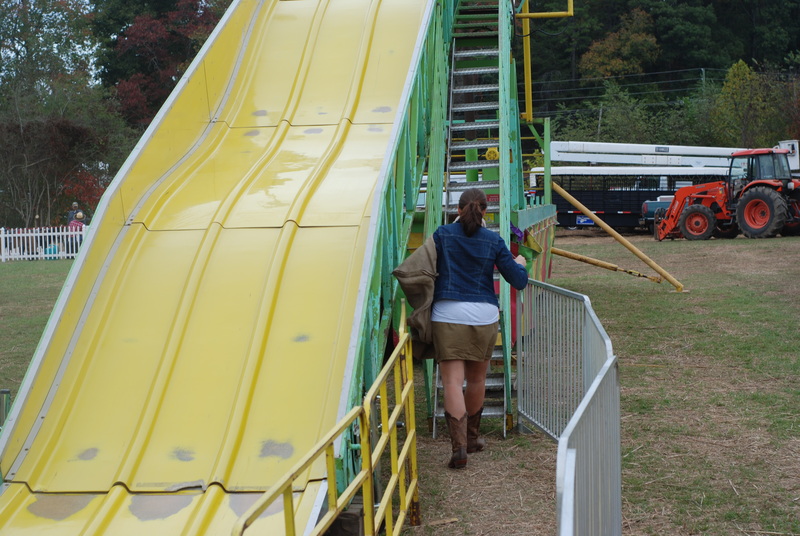 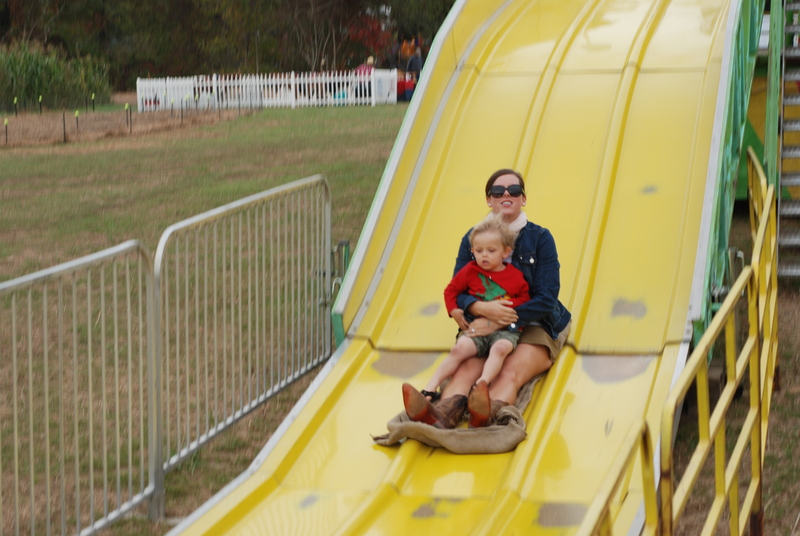 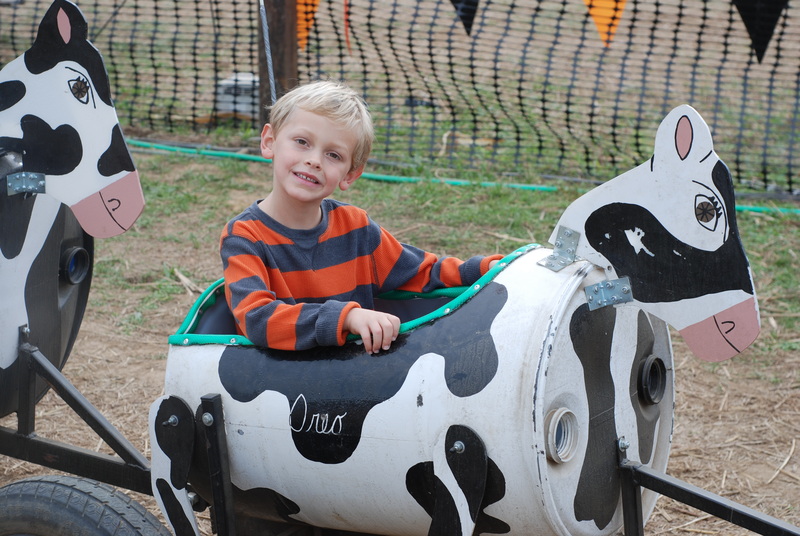 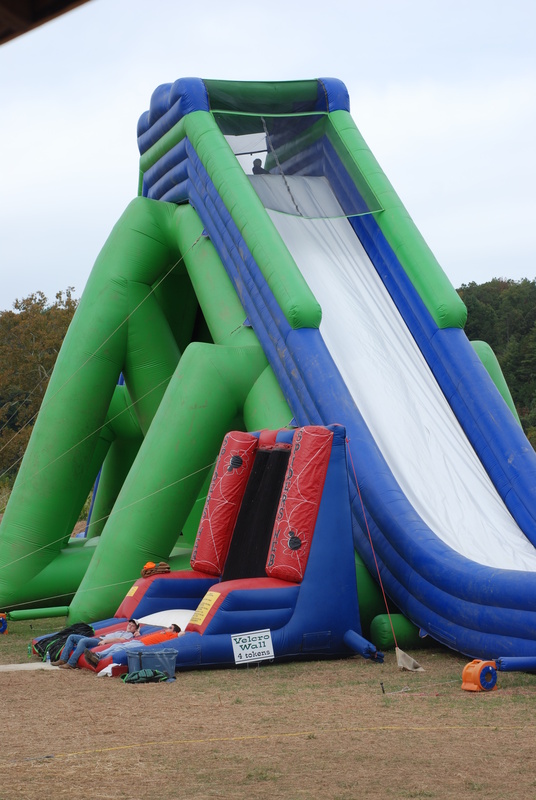 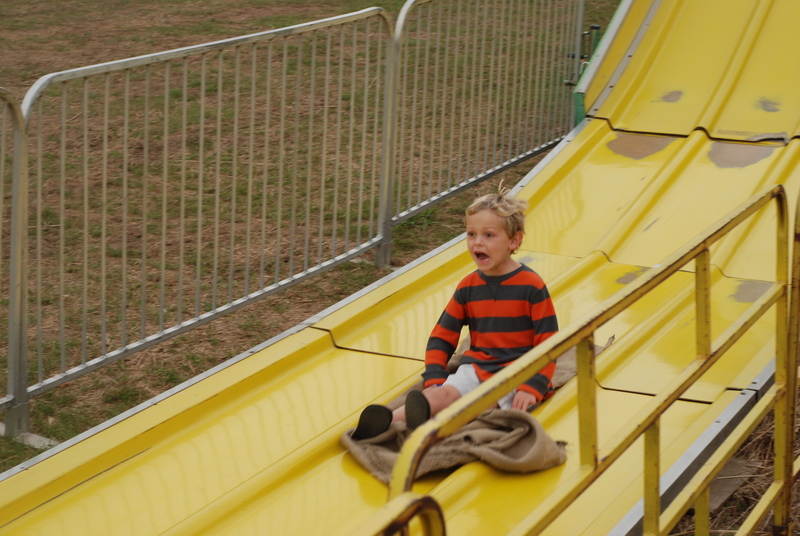 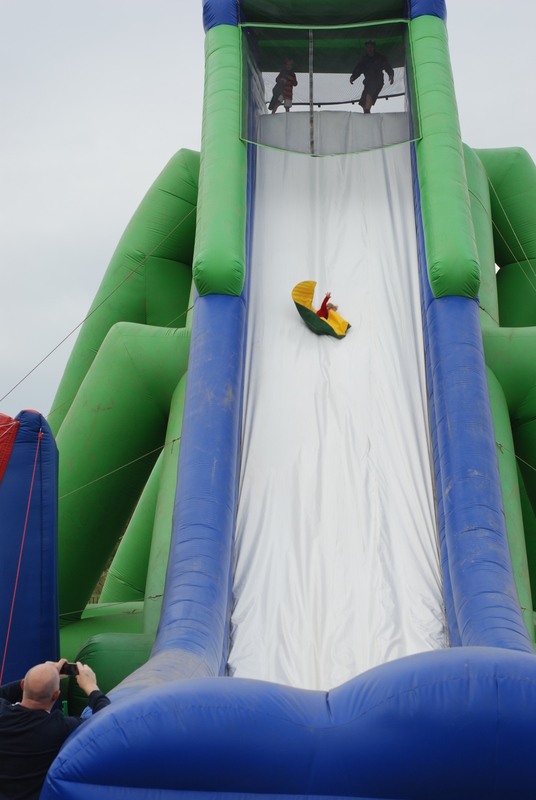 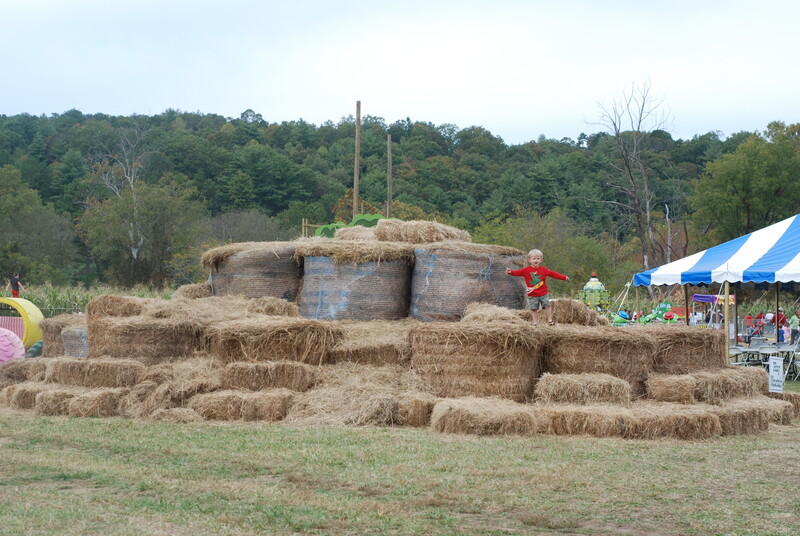 The festival had a tons of rides and outdoor activities…and they wouldn’t have to be riding around in the car. 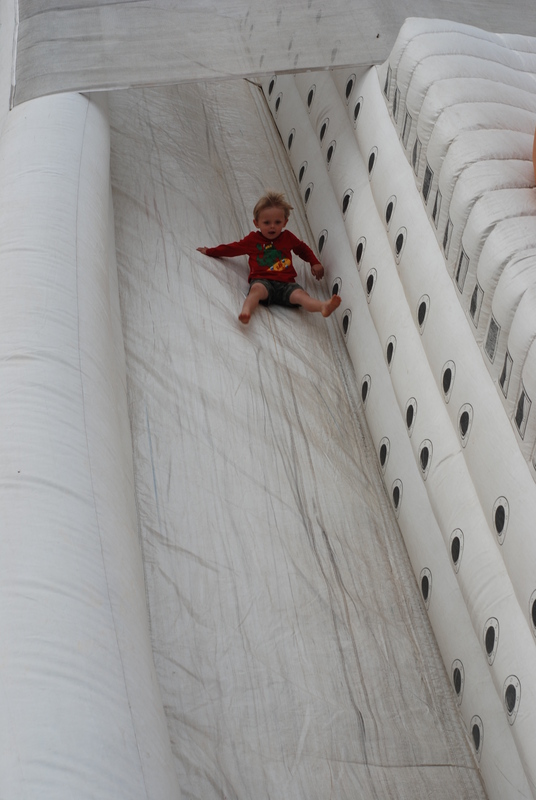 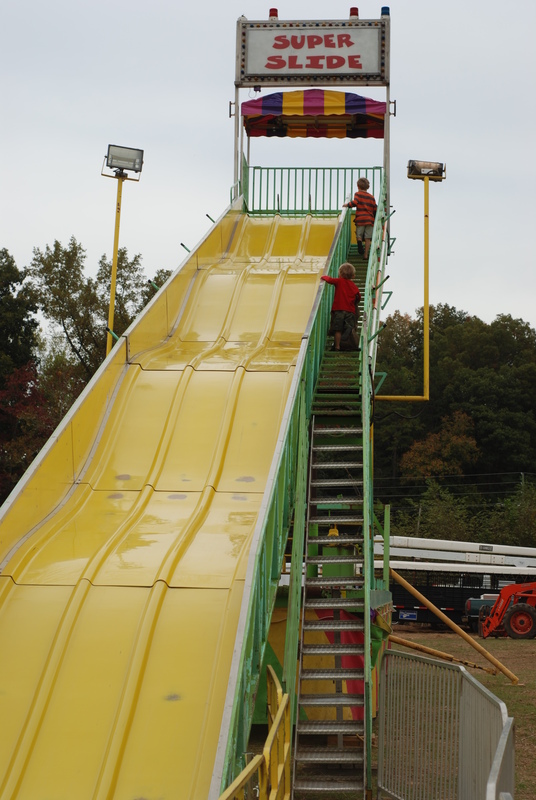 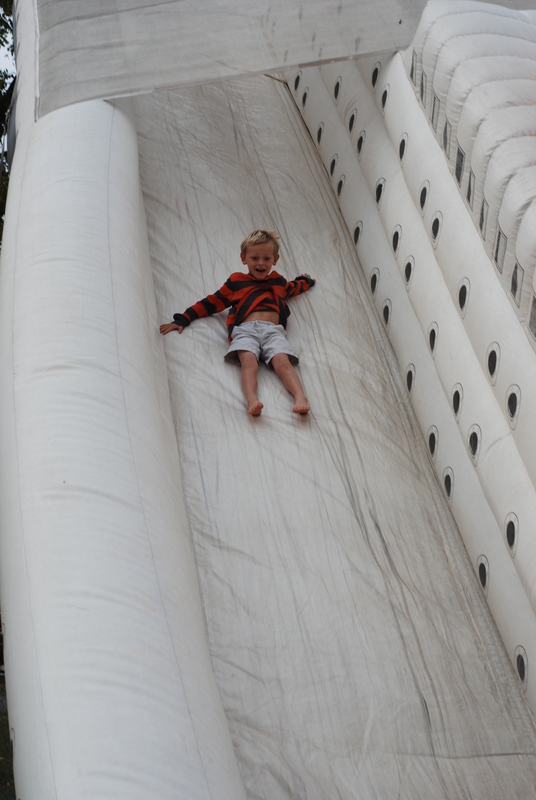 Matty was so brave to go down this big slide. 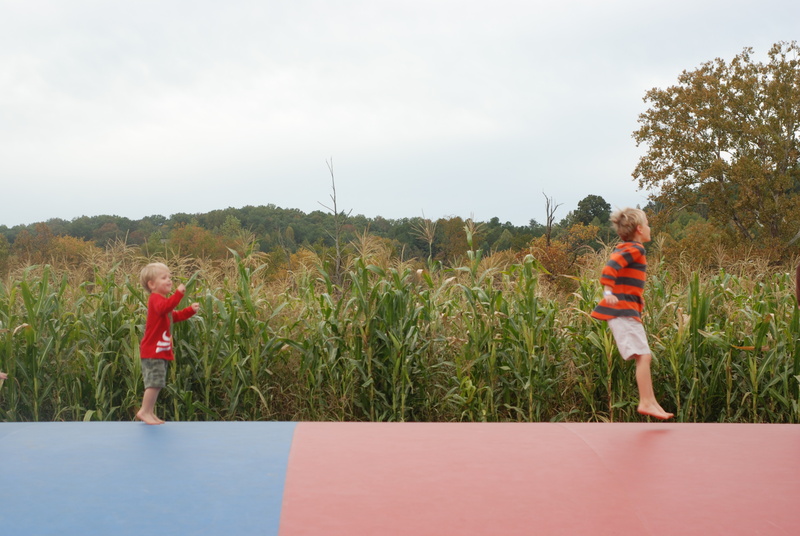 I love the big corn fields in the background. 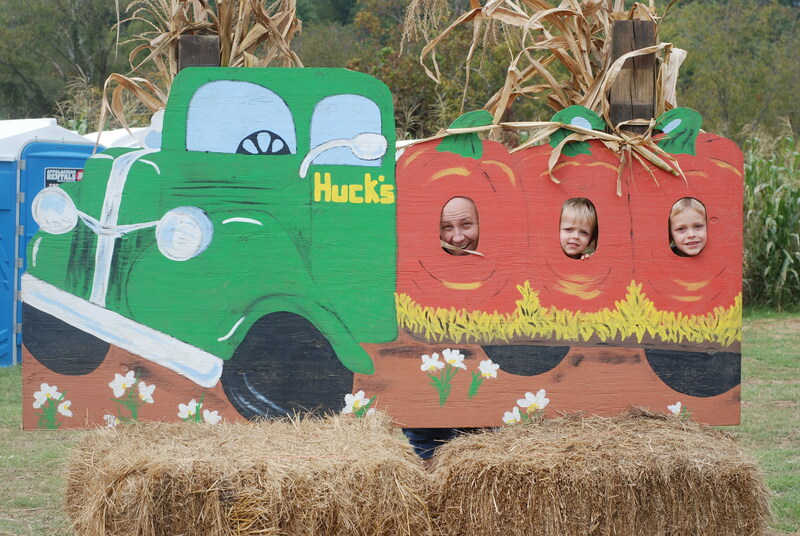 Reminds me of a trip Andy and I once took to Turkey Creek when we lived in Chicago. 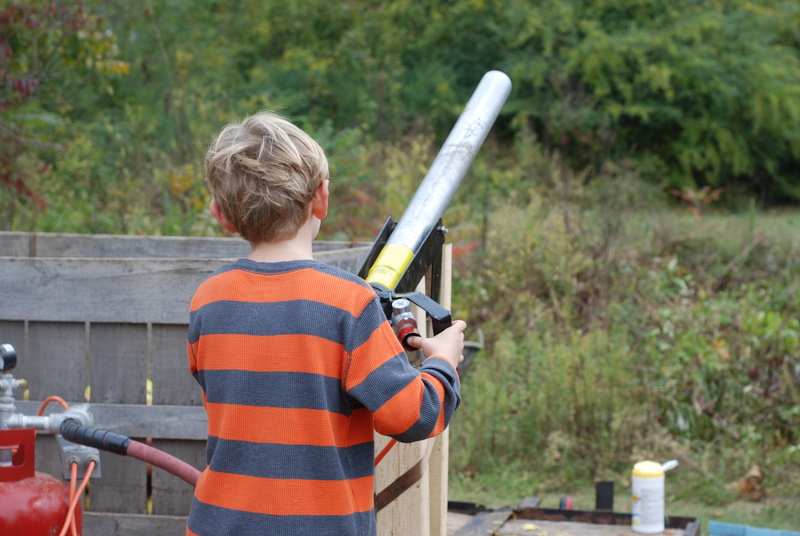 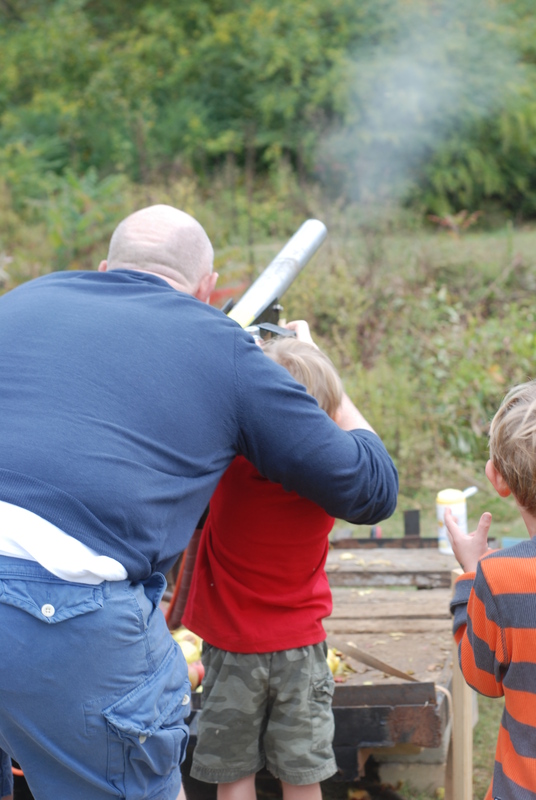 Ok, the boys (and I do mean all three of them) had great fun with this apple cannon. 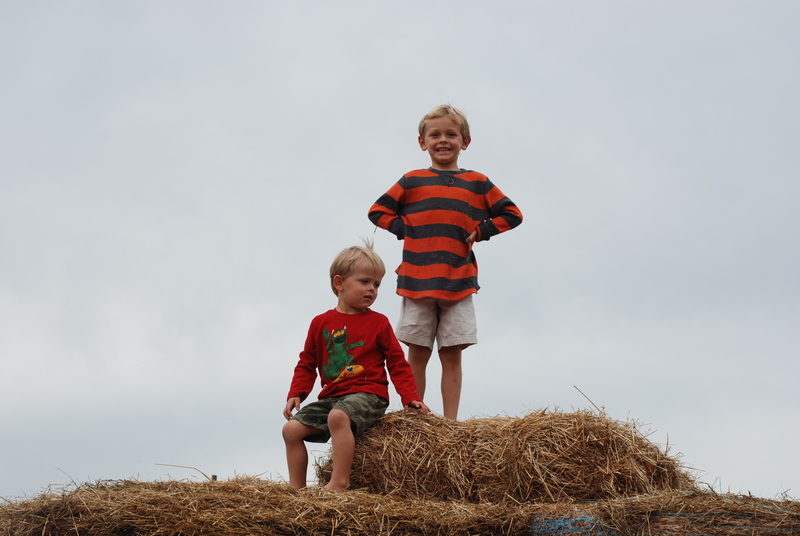 If we could have brought it home, they would have….